The once-in-a-lifetime event - which will also see performances from Neil Young, Roger Waters and The Who - has been expanded to include a second weekend, where the six legendary acts will take to the stage at Indio, California's Empire Polo Club, for what promises to be a fantastic weekend for music lovers. On the initial dates of October 7 until October 9 and now the new extra dates of October 14 to October 16, The Rolling Stones and Bob Dylan are set to headline the Friday night whilst Paul McCartney and Neil Young will wow crowds on Saturday night. The festival will culminate with performances from Roger Waters and The Who on the Sunday evening. 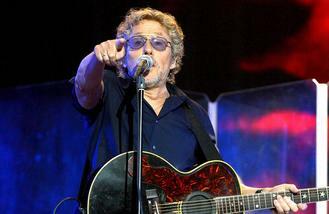 Meanwhile, speaking about the once-in-a-lifetime festival, The Who singer Roger Daltrey, said previously: "We have to face it, we are (at) the end of an era. We're the last of our generation. You can see from reading the obituaries lately that we [rock stars] don't make old bones very well, do we? "I just hope a lot of normal fans can get tickets before they get snatched up." Reserved seats and general admission passes for the new dates are on sale now at DesertTrip.com.